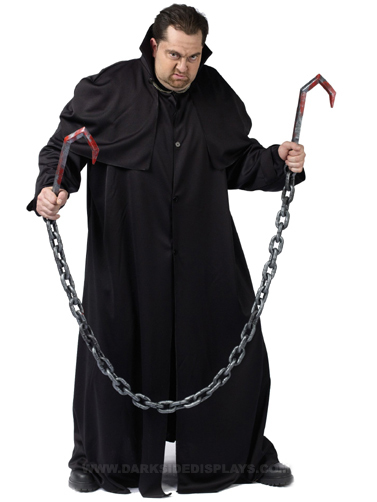 It won't matter if you use this bloody meat hook with chain as a Halloween prop or a costume accessory, you are sure to scare somebody. Plastic chain features a plastic hook on each end making for one toturous looking weapon. Robe shown in photo is not available. Bloody Meat Hook Prop measures 70"L, hooks are 14"L.